Last edited by Charlie Moua; 10/14/2012 at 10:14 AM. hey why did you guys switch the turbo out? i love your ef. hey why did you guys switch the turbo out? The first turbo was Ebay 60trim. He decided to get block guard, rods, pistons, new turbo, better injectors & quality turbo. The only thing I wish he didn't get was the goautoworks log manifold. Most part he consulted with me but not the manifold. As you can see on the dyno chart his powerband already chokes out the power at 7500rpms. 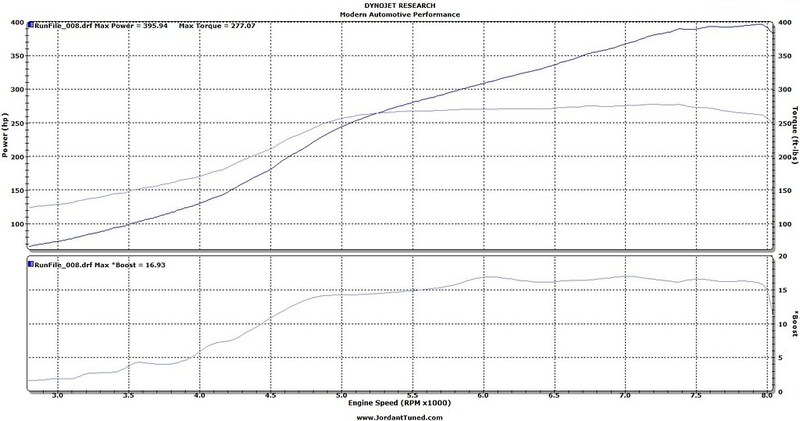 We turned up the boost by 2psi and midrange power increased properly but topend power was only another 5whp. Not worth cranking up the boost beyond this point. Thanks pal... long working progress.... love it so far. This winter i'll be parting out the turbo kit and having MAP make me a custom kit with better FMIC & fancy fab work.